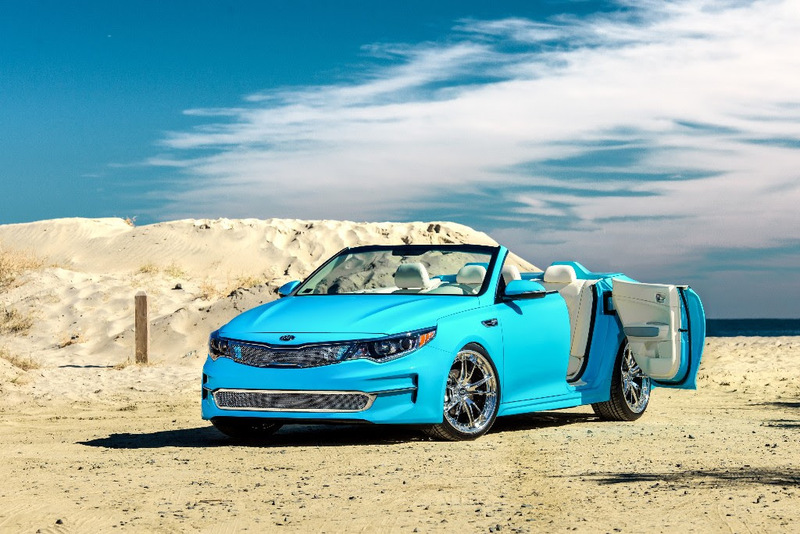 Kia Motors America (KMA) today unveiled four all-new customized vehicles at the opening day of the 2015 Specialty Equipment Market Association (SEMA) Show, showcasing America’s cultural diversity and our shared love of the automobile. Including a first-time SEMA appearance by the Trail’ster electric hybrid AWD concept that was first unveiled at last year’s Chicago Auto Show and a return by popular demand of the Ballast Point Sedona, Kia’s 2015 SEMA display commemorates a uniquely American form of wanderlust: A road trip to the farthest corners of the country and everywhere in between. A total of six custom vehicles are showcased in Kia’s booth at SEMA to help tell the story of an all-American road trip inspired by unique traits of different regional landscapes throughout the nation. Florida may be best known as one of America’s most family friendly vacation destinations, but the state’s rich history and subtropical splendor is best discovered from behind the wheel of an open-top touring car. The Sunshine State is home to the A1A highway, a more than 300-mile-long, meandering black ribbon of tarmac – set off by crystal-white sand, aquamarine ocean waters, and abundant wildlife – which terminates in Key West, almost a stone’s throw from Cuba. The A1A Optima takes inspiration from this iconic byway by letting the sunshine in and taking the all-new 2016 Optima in a new direction. Its high style and high-end details make this the perfect car for Miami’s tony South Beach, the laid-back Key West lifestyle and all points in between. The A1A Optima features a nod to America’s roadster fascination with its sliced top and shortened windshield. But this isn’t any average chop job. The artists at LUX Motorwerks have created a show car that is road trip-ready. Reinforced steel tubes have been discretely hidden within the body-in-white so that the vehicle retains a rigid structure. Invoking a concept-car appearance, the back doors of the A1A Optima swing open on rear-mounted hinges, adding a touch of whimsy and fun while complementing the roadster style. The exterior is inspired by the vibrant colors of South Beach and features a custom turquoise paint scheme. A gleaming set of 20-in. HRE S104 wheels and Tiarra Luxury upper and lower grilles give the A1A Optima a contemporary aesthetic that’s completely at home in the simmering South Beach scene. The interior of the A1A Optima has been extensively re-worked to match the eye-catching exterior design. Deep bucket seats up front and custom double buckets in back are separated by extended armrests and a unique center console. Butter-soft cream and titanium leather covers the seats and extends throughout the interior with accents painted an attractive silver. The powerful 245-horsepower turbocharged four-cylinder engine is combined with a high-performance exhaust, giving the A1A Optima a throaty voice. A Ksport coilover sport suspension lowers the vehicle’s ride height and raises its visual appeal. Home to both the Emerald City (Seattle) and the Rose City (Portland) and thousands of square miles of forest in between, the Pacific Northwest embodies a relaxed, no-hassle lifestyle that helped launch a music revolution in the 20th century and a craft beer revolution in the 21st century. People who call this territory home thrive on the outdoors and nature, and the PacWest Adventure Sorento is the perfect companion to get them there. Designed and hand-built by the creative team at LGE-CTS Motorsports, the exterior of the PacWest Adventure Sorento is the product of a labor-intensive, completely custom, multi-layer painting process utilizing pearls and candy effects that give the vehicle an ever-changing chameleon effect. Toned-down hues of electric and deep-forest green combine to capture the rugged beauty of the region. All chrome accents are painted matte black to provide some visual toughness to the Sorento’s sporty appearance. To scare away the shadows and potentially spot an errant Sasquatch running through the trees, the Sorento is equipped with twin LED low-profile light bars, one of which is mounted within the tubular sculpture of the front bumper, the other nestled into the roof rack. To provide the PacWest Adventure Sorento with go-anywhere capability, LGE-CTS fabricated an all-new front under carriage assembly to allow for greater wheel travel and a taller stance. At the rear, retooled and lengthened connecting and trailing arms better locate the tires for off-road excursions and lend to the vehicle’s menacing stance. In all, the PacWest Adventure Sorento rides six inches higher than a standard Sorento. The high-riding suspension enabled LGE-CTS to bolt on some serious off-road footwear in the form of LT285/70R17 Nitto Trail Grappler M/Ts, which are wrapped around a set of BMF’s new S.S.D. 17×8.5-in. beadlock-style wheels lurking beneath custom fender flares. Soaking up the rough-and-tumble Pacific Northwest landscape and keeping the PacWest Sorento sunny side up are Fox Racing 2.0 coilover shocks embraced by Eibach springs. New fabricated front and rear bumpers with integrated wraparound steel skid plates and side bars protect the artistic paint job when the going gets rough. A MileMarker PE4500ES winch threaded with an ultra-strong synthetic strap will come in handy when others are mired in mud. 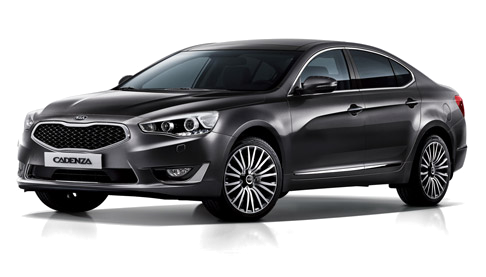 LGE-CTS retained Kia’s signature “tiger nose” grille frame while utilizing free-breathing wire mesh from GrillCraft as a tasteful custom touch. The tailor-made roof rack holds everything needed for an overnight camping trip, including an ARB tow strap and E-Z deflator kit. The stock Sorento’s 290 horsepower and 252 lb.-ft. of torque are enough for anything short of a vertical climb, but the new WFJ snorkel intake system allows the PacWest Adventure Sorento to be a land-based submersible. The stock Sorento is focused on cosseting its occupants in supreme comfort. The PacWest Adventure Sorento, while still very comfortable, is more focused on its intention to get its passengers deep into the forests of the region and safely back out again. Interior features include custom painted dash- and door-panel inserts, a Daystar switch panel and rocker switches to activate the LED lights, and rugged floor mats. Stitched Kia logos found in the headrests and the seat cushions include custom tire-tread embroidery with green leather back and thigh supports. A color 8-inch Alpine Mobile Media entertainment system with front camera rounds out an artfully crafted off-roader. the vehicle via a safety harness and integrated mounting hooks. The rear bed area has been left open for easy accessibility and has multiple compartments for storage, exterior outlet ports, and a hidden compartment for lower angle shots. The Photo Safari Sedona is equipped with a Street Scene Speed Grille and a Hellwig auto level 2,500-lb. airbag suspension system that automatically adjusts ride height. Designed for use day or night, the Photo Safari Sedona incorporates ultra-bright 6-in. KC HiLites pro-sports gravity LED lights on all four sides of the vehicle. An easy-to-spot dash-mounted Daystar switch panel helps instantly turn a darkened glen to daylight. The Photo Safari Sedona has on- and off-road capability with Nitto Dura Grappler 265/65R17 tires wrapped around 17-in. Method “Rally” wheels bathed in a matte gold finish. The attention to detail continues inside with painted interior trim pieces and a custom upholstered driver’s seat. Removal of the Sedona’s middle seats help transform the vehicle to a rolling professional editing studio packed with the latest technology, including a 27-in. iMac with 5K retina display. The technology is backed up by a military-grade battery that will keep the studio running for hours without starting the engine. The battery automatically recharges once the Photo Safari Sedona is underway. A handcrafted walnut desk, extension-arm keyboard tray, and multiple storage cabinets designed by the master woodworkers at Highline Cabinets keeps the studio tidy. A custom Beard Torque racing seat with multi-point harness on an Extendobed allows the seat to slide out of the rear passenger door three feet, or be locked in place within the editing bay. Rugged RW wireless radio headsets provide uninterrupted communication between the driver and photographer, and a 30-in.power retractable rear window rolls down for added viewing capability. The removal of the front passenger seat creates room for large-item storage, and Mac’s tie-down mounts keep the equipment secure when the going gets rough. America’s love of the automobile inspires enthusiasts to get creative and have fun with their vehicular passions, and there are few places in the country where more fun is had behind the wheel than in the South. With its origins dating back to the 1970s, mud racing or mud bogging has grown in popularity across the U.S. and even into Canada. There is just something inexplicably enjoyable about getting dirty, and the Forte Koup Mud Bogger is more at home caked in grime than sitting pretty on the SEMA show floor. When Kia teamed with Lux Motorwerks to create the Forte Koup Mud Bogger, both organizations agreed that fun had to be front and center. Giving this one-of-a-kind Koup the clearance to tackle extreme terrain started with a generous four-inch body and suspension lift along with meaty 28-in. off-road tires on Fuel Off-Road 15×10-in. Revolver wheels powder coated white. To further accommodate the massive wheel and tire combo, the fenders and side skirts were modified and custom riveted fender flares added. Additionally, the Koup was fitted with a hand-built, white-powder-coated brush guard and a Rigid LED light bar to protect the Midnight Sapphire Forte Koup from the terrain, day or night. The red, white, and blue custom paint scheme is as beautiful as it is patriotic. A panoramic roof with a vinyl pushback top gives way to the stripped-down interior where the carpet has been removed and the entire floor is lined with Line-X protective coating. The stock seats of the Forte Koup have also been replaced with two Sparco Evo II Red Race Seats with Sparco 4PT Snap-In Harnesses and a Sparco L575 steering wheel. Roll cages are required equipment when pounding through sludge, and the Forte Koup Mud Bogger incorporates a hand-built roll cage powder coated white to match the wheels. The Kia Forte Koup Mud Bogger is purpose-built for off-road fun and is the kind of car you might find when wanderlust takes you down the road less traveled. Previously shown at the 2014 SEMA show, the Ballast Point Sedona is making a comeback, representing sunny California as part of Kia’s American road trip for the 2015 SEMA show. Built in partnership with Ballast Point Brewing & Spirits and serving premium handcrafted beers from the San Diego-based craft brewery, the Sedona has been completely redesigned to echo the nautical theme for which the specialty brewer is known. The Ballast Point Sedona features a hand-formed solid mahogany shell with a flip-top roof and fold-down front bar. Removing the roof required the installation of a custom boxed-steel frame that incorporates heavy-duty hinges and struts to allow for the wood clam-shell top to open a full 90 degrees. While one of the Sedona’s power sliding doors has been welded shut, the other remains fully functional to allow access for a bartender into the open-air cabin. The rear shell is also removable, allowing patrons to enjoy a frosty beverage from the tailgate as well. The passenger compartment has been gutted to make room for two functioning Micro Matic taps, a jockey box with 120-feet of copper beer-cooling coils, and up to four half-barrel kegs of Ballast Point’s finest. The front passenger seat has been removed to accommodate storage for extra kegs and supplies. Based on the brand’s iconic Soul urban passenger vehicle, the turbocharged Trail’ster – with its Polar Pearl Snowdrift/Terra Bronze Metallic paint scheme, roll-top canvas roof, and armored aluminum skid plates – captures the essence of an advanced and capable CUV. It is intended for those venturing on a road trip to escape their urban environs in search of higher-elevation playgrounds in the Rocky Mountains where snow, mud, streams, and trails abound. Efficient and lightweight, the Trail’ster is ideal for transporting adventurers and their gear. With its rugged, functional and upscale approach to an active mountain-focused lifestyle, Trail’ster was dreamt up at Kia’s California design studio, birthplace of the unforgettable Track’ster and GT4 Stinger concepts. Underscoring Kia’s focus on all-wheel drive capability, the Trail’ster enables a wide array of mountain activities, from skiing and snowboarding to camping, hiking and mountain biking. Whether it’s trekking up to a high, snowy summit or traipsing down a muddy fire road to a piney trailhead, the Trail’ster – thanks to a rear axle-mounted electric all-wheel-drive system – is all about surefootedness in the wild. The exterior color was inspired by the earthy combination of springtime snow and mud, the terrain for which the Trail’ster has been created to travel confidently through on its way to outdoor destinations high above sea level. The Polar Pearl Snowdrift exterior paint is a modern neutral color, against which the warm and contrasting Terra Bronze Metallic tone of the roof and lower cladding brings connection to the soft dirt of roads less traveled. Anodized fire-red wheel accents and polished billet aluminum sections infuse a purposeful and sophisticated aesthetic to the Trail’ster’s precise design, taking inspiration from high-tech, high-performance outdoor sporting gear. 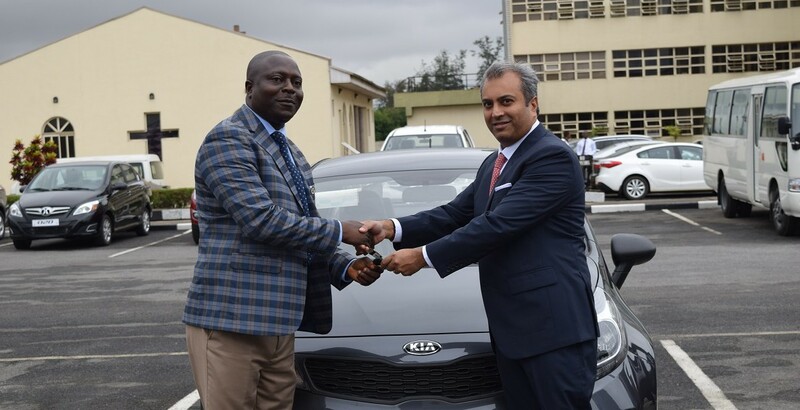 L-R: Abiodun Bamgboye, Permanent Secretary, Office of the Chief of Staff and Jacky Hathiramani, Managing Director, Kia Motors Nigeria at the presentation of the 2015 Kia Rio in the Governor's Office, Alausa, Lagos State. 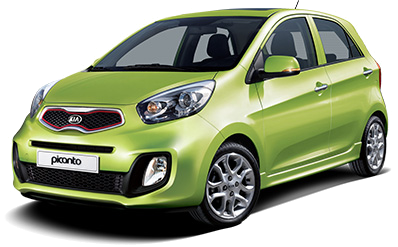 As an expression of Kia Motors Nigeria indelible contributions to Lagos State Government and its unalloyed support for the state, the company donates Nigeria’s best-selling car, the 2015 Kia Rio as a token of its commitment to the growth of Lagos State. The gesture is rooted in the objective of Kia social responsibility to contribute to the development of society as an upright corporate citizen and staying true to the company’s unwavering commitment to the industrialisation of Nigerian economy. Kia has continued to contribute immensely to the growth of its local community and the state through its corporate social responsibility initiatives. “The donation of Kia Rio to the state is consequent upon our increasing efforts to positively impact the communities we’re in. We foster a framework for collaboration with the government and recognise local initiatives for expanding the involvement in social contribution initiatives for the state” said Jacky Hathiramani, Managing Director, Kia Motors Nigeria. “We are proud to partner with the Lagos State government for the actualisation of the state’s mega city project by advancing the frontiers of the industrialisation of the state with our assembly plant in the state” continued Jacky. At the car presentation for the state government, the Permanent Secretary, Office of the Chief of Staff, Lagos State, express the government’s appreciation to the management of Kia Motors Nigeria for the donation of the 2015 Kia Rio to the government and posited that the government will always provide an enabling environment for the success of the local businesses. Through socially responsible management, Kia Motors aims to delineate its vision and role vis-à-vis our employees, partner companies, shareholders, customers, local communities and humanity at large. It strives to faithfully carry out its responsibilities to the economy, society and future generations. 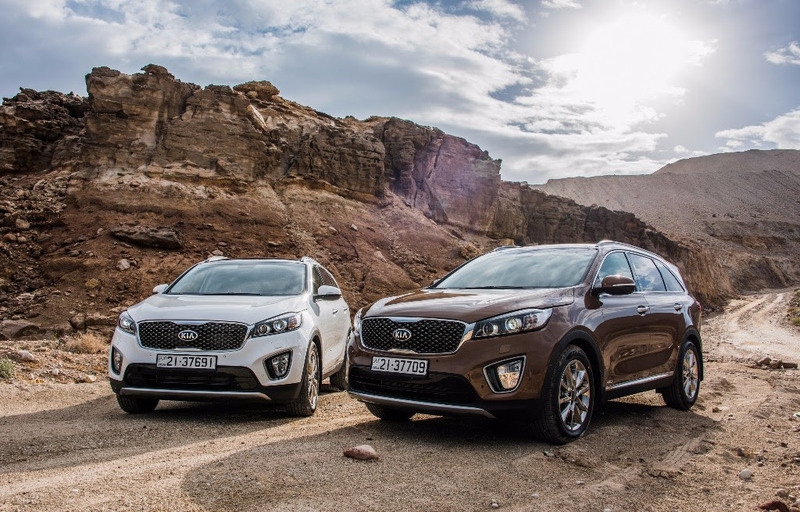 Kia’s all-new Sorento emerged as the winner of the coveted Public Car of the Year honor at the prestigious 2015 Middle East Car of the Year (MECOTY) Awards. 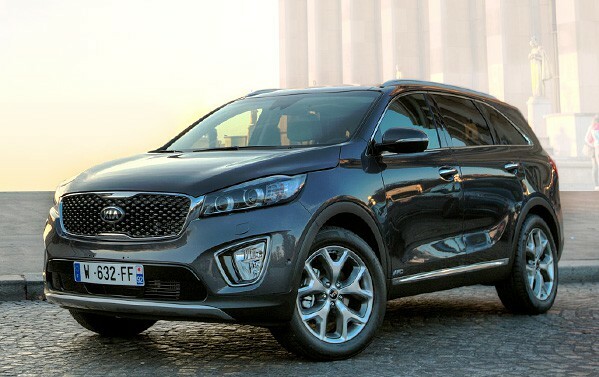 The Kia Sorento received the highest number of public votes from across the region amongst all 48 nominated vehicles. The results were announced at a gala award ceremony in Dubai on 29th October. 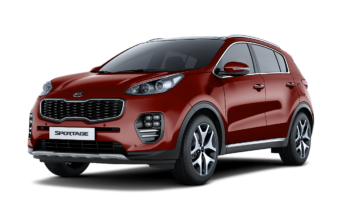 The accolade comes soon after Kia Motors’ milestone of exporting its 15 millionth vehicle in August 2015, coincidentally a 2016 Sorento with the United Arab Emirates being the destination. The Middle East is one of Kia’s most successful markets as the region contributes significantly to the brand’s global sales volumes. 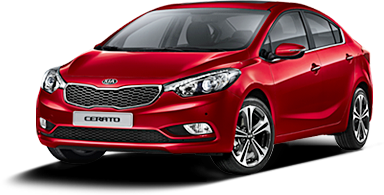 “Receiving this award is a joyous milestone for Kia as it is a clear sign of our cutting-edge innovativeness as a manufacturer. The aim we had with the Sorento was to set new standards in driver comfort, aesthetics and automotive technology and we are now realizing those objectives. This award makes our efforts all the more meaningful and rewarding because it demonstrates the success and recognition we have earned in the region. It is a tremendous moment for us also because of the quality of the cars we were competing against, which shows that Kia is a pioneering leader in a market filled with exemplary brands,” Mr. Chung said after receiving the award. MECOTY is regarded as the most prestigious award in the Middle East’s automotive industry. Leading global car brands competed in different categories including Group A (Sedan/ Executive), Group B (SUV/Truck) and Group C (Performance). The winners were determined by a judging panel comprising prominent automotive journalists from across the Middle East. Members of the jury panel represented countries such as the United Arab Emirates, Kuwait, Bahrain, Lebanon, Jordan, Qatar and Saudi Arabia. Included in the judging criteria was determining whether the nominated vehicles met the demands of customers in the region.